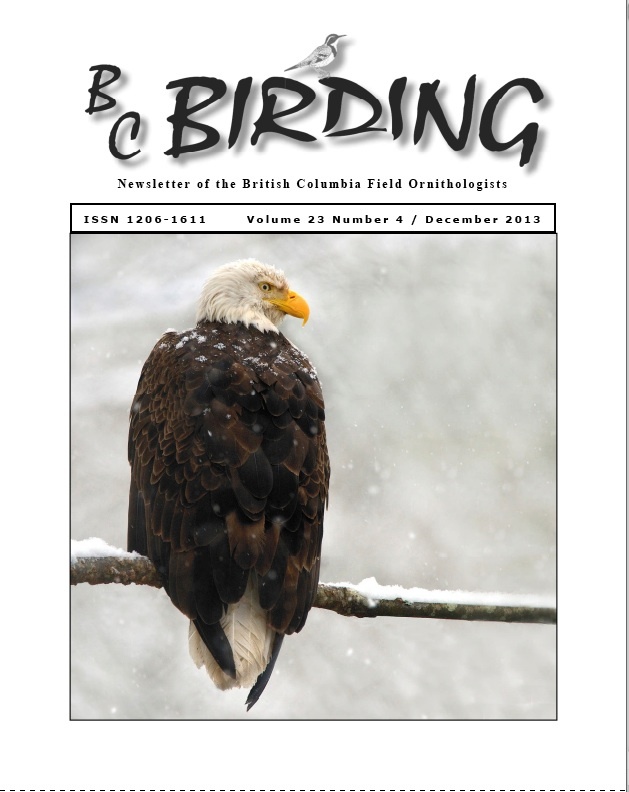 The December 2013 issue of our BC Birding newsletter is now available in the Members Area for your holiday season enjoyment. You may read the issue online, or download a copy for your reading pleasure. As you’ve come to expect of our newsletter, this issue is crammed with fascinating articles on birds, birding travel, great photographs, and announcements of upcoming birding events, including confirmation that our 2014 AGM will take place in Pemberton.